Gazepoint eye-tracking technology has applications across industries, from technology to medicine to the overlap in between. Today, we discuss one such application: the use of eye tracking in stroke rehabilitation programs. You can find more information about the use of Gazepoint eye-tracking technology in specific studies on our publications page. 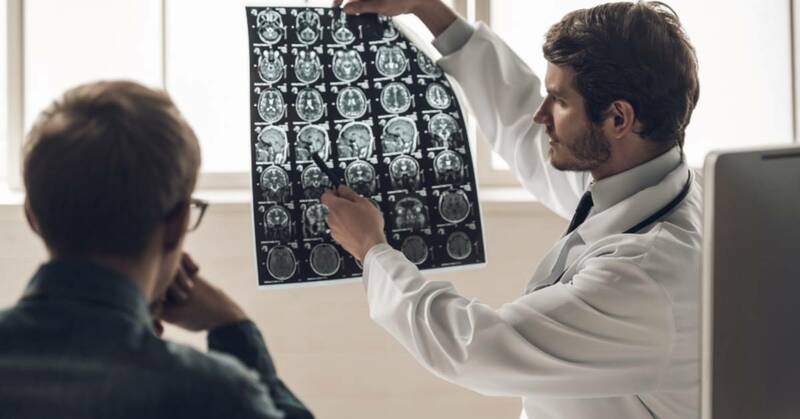 The purpose of rehabilitation after a stroke is to help a patient relearn skills they lost when the stroke affected a specific portion – or portions – of their brain. 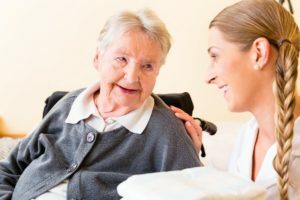 Rehabilitation depends on the patient’s specific symptoms, with speech therapy targeting difficulties surrounding language, physical therapy helping the patient regain muscle strength and coordination, and so on. Virtual reality (VR) is one more unconventional rehabilitation technique for stroke patients that is gaining popularity. VR and interactive video games are implemented as a form of therapy that replicates everyday activities and objects for the stroke victim to practice with while they recover in the hospital. These programs can also be more fun and engaging for the patient, which encourages them to fully participate in therapy. There are a number of ways eye-tracking technology can – and has – been used in the process of stroke rehabilitation. About one fourth to one third of stroke victims have communication issues after the event. Aphasia – which is the medical term describing a patient’s language impairment most typically acquired after a stroke – can have many forms. One permutation is a patient’s difficulty or inability to speak. An augmentative and alternative communication (AAC) device can help. Eye-tracking technology allows a patient to interact with a communication device with just their gaze rather than through their hands with a joystick or keyboard. This can be especially helpful for stroke victims who experience aphasia as well as motor control issues. As discussed in one of the publications that utilized Gazepoint technology, communication can have a big impact on a patient’s recovery and quality of life. Gazepoint provides patients and medical professionals alike the opportunity to utilize affordable, hands-free, professional-grade technology for improved communication. Once problems have been identified, the same technology can be implemented to see how a patient is improving – or struggling – throughout rehabilitation. One of the most mainstream applications of eye-tracking technology is the improvement of virtual reality experiences. As we’ve discussed elsewhere on the site, one important advantage of integrating eye tracking is the ability to measure and adjust VR equipment or an environment for an individual’s interpupillary distance. Eye tracking can also improve help developers improve image quality through foveated rendering, which calibrates a VR device to render a high-quality image only in the area where the user’s eyes are focused. Both of these adjustments could make for more realistic and effective virtual reality therapy for stroke patients. You can investigate the applications of Gazepoint products for yourself through papers like “Methodology for a Low-Cost Vision-Based Rehabilitation System for Stroke Patients” from Springer India, and find the comprehensive list of studies involving Gazepoint technology on our publications page. If you have any questions about our eye-tracking hardware and software, or you have published a scientific study using our equipment, please contact the Gazepoint team today.